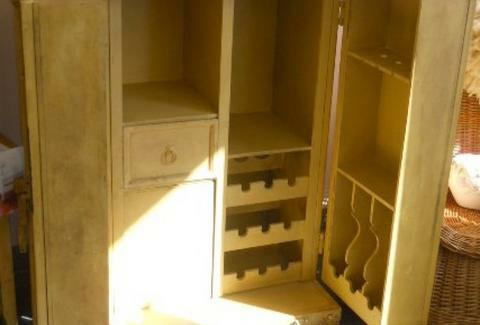 This thing is seriously awesome: a just-now-available-near-Philly shipping crate that doubles as a damn-near-4'-tall cabinet that'll hold all your cocktail contraptions, glassware & booze (while concealing choice bottles behind a "secret" revolving door). The whole crate's protected within a hulking steel shell with all the latches & locks to ensure it'll survive your next Titanic drinking endeavor. Just watch out for icebergs.